Are you the cat or the mouse? This reminds me of our departed 20 year old cat who use to love to bring us these kinds of "presents". 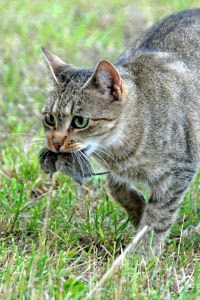 Reminds me of my late cat, a great mouser.